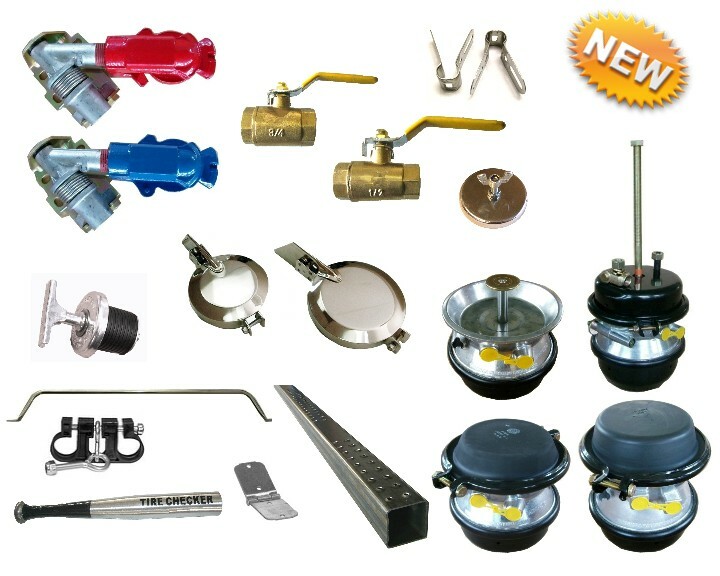 Coiled airline Assembly, Gladhand, Gladhand Seal, Seal Filter, Gladhand & Plug Holder, Infaltor & Blow Gun Set etc. 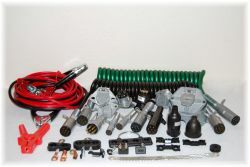 Cable & Plug Assemblies, Electrical Plug, Plug Adapter & Accessories, Electrical Socket & Assemblies, Nose Box, Ground Strap, Cable Clamp etc. Drain Valves, Check Valve, D2 Governor, Air Tank & Brackets, Clevis Assembly, Diaphragm, Slack Adjuster etc. Pogo Stick, Hose Holder & Separator, Split Loom & Wrap, Rubber Grommet, Rubber Cusion Clamp, Clamping Stud, King Pin Lock, Gladhand Lock, Mudflap, Rubber Grommet, Hub Cap etc. If you are interested in our new products, please feel free to contact us, thank you! Welcome to the World of Truck and Trailer Parts! Established in 1995, currently certified as a TS16949 and ISO-9002 company, BNB International is a specialized manufacturer for heavy duty truck and trailer part, with its production facilities in Shanghai, China and the sales headquarter in Seattle, US. 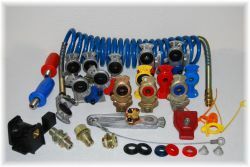 With combined specialties such as machining, stamping, rubber and plastic fabrication, comprehensive assembly, and advanced design & testing, BNB International is always able to manufacure high quality compontents for truck and trailer as air products, electrical products, valva&brake parts and cargo products in high standard. With professional and skilled in-house engineers and designers, we also offer custom-made truck and trailer parts according to customers' special demands. 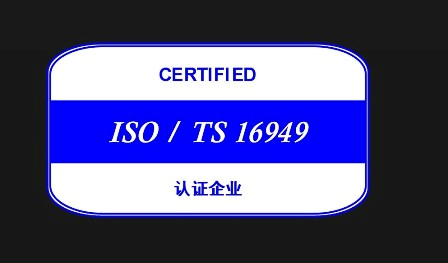 As a TS16949 and ISO-9002 company, all truck and trailer parts of BNB International meet relevant industrial standards as SAE, DOT, ISO and DIN, and carry product liability insurance. We stand by our products 100% and offer higher standard parts for trailer and truck at very competitive price. We offer our OEM and aftermarket customers in North America, Asia and Europe with more variety of truck and trailer parts, better combination of choices, and quicker turn around time on regular as well as custom parts by special wishes. No matter if you are in North America, Asia or Europe, BNB International ships its truck and trailer parts around the world. The catalogs of our products can be downloaded here. If you have any questions, please feel free to contact our offices in Seattle, Hongkong or Hamburg. BNB International, based in Seattle, US and Shanghai, China, offers a wide range of truck parts and trailer parts. Since 1995, BNB International has specialized in manufacture and sales of truck and trailer parts for the trucking and transportation industries. BNB products are shipped around the world. 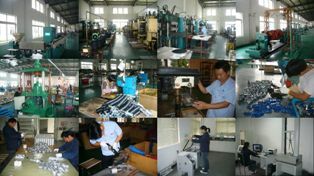 We work with distributors and wholesale companies from North America, Asia and Europe. As a truck and trailer parts' manufacturer and supplier with global orientation, we provide our customers superior service worldwide. With our sales offices in Seattle, Hongkong and Hamburg, BNB International can be contacted everywhere. 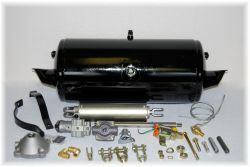 BNB truck and trailer parts are seperated in 4 product groups: Air products, Electrical product, Valve and Brake Parts and cargo product. 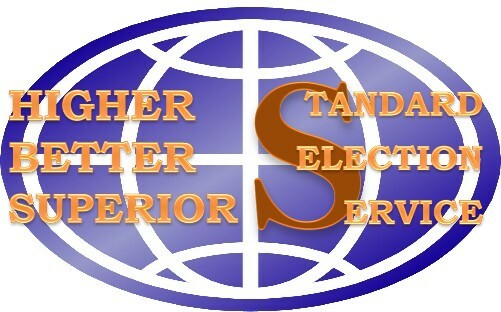 We offer a high variety of air products as coiled airlines or glad hand with both US and European standards, and electrical products as Electrical Plug and Socket. At the same time, we also provide you valve & brake parts like Air Valve, D2 Gorvenor and Air Tank in higher standard, as well as the cargo products like Pogo Stick or Rubber Cushion Clamp. 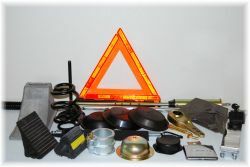 More information about our truck parts and trailer parts? Any questions about shipping of our products? No Problem! Please feel free to contact our offices in Asia, Europe and the US. We also provide downloads of our catalogs. All BNB high quality truck and trailer parts are listed in the catalogs.